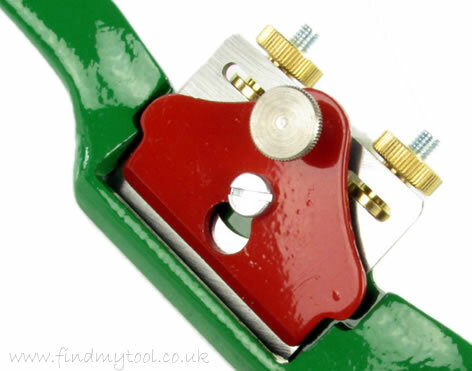 This review is about the German made, Kunz 51A spokeshave. The Kunz 51A has a flat sole / straight bottom. The 'A' indicates the spokeshave is 'Adjustable'. 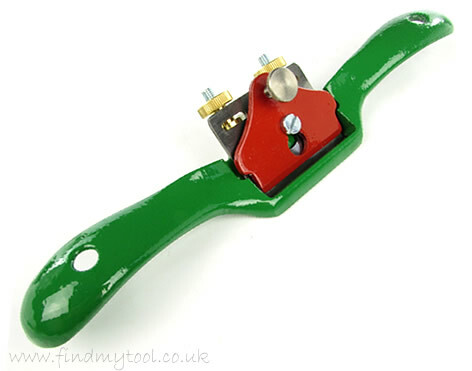 The Kunz 51A spokeshave is made from grey cast iron with the Kunz bright green finish and a bright red lever cap. These adjustable spokeshaves are 250mm (10 inch) long and are equipped with a 51mm (2 inch) wide cutter and with a fine blade adjustment mechanism. The blade can be accurately adjusted by turning the two knurled nuts situated just above the top of the blade. Each nut moves the blade on that respective side upwards or downwards as the nut is turned. The blade is secured in place with the red lever cap. The lever cap is secured / loosened using the lever cap securing screw. The handles are arched and raised slightly above the core middle section. The Kunz 51A with its flat sole / straight bottom is suitable for a number of fine shaving applications including on convex curved edges. This spokeshave design is heavily based upon the Stanley and Record flat spokeshaves with the obvious difference being the colour. 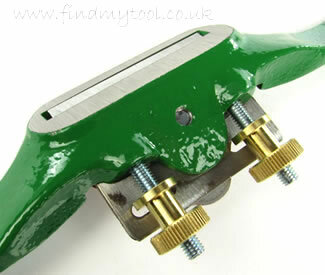 The Kunz 51A flat spokeshave is also made with a round sole in the form of the Kunz 51AR round spokeshave.